As good as pitcher Dallas Keuchel was, it was Marwin Gonzalez's throw home from left field in the 5th inning, snagging Yankee Greg Bird at the plate, that was the single most memorable moment of game 1 of the ALCS. Thanks to 7 innings of shutout ball by Dallas Keuchel and clutch relief work by Chris Devenski and Ken Giles, not to mention equally clutch hitting by Jose Altuve, Carlos Correa and Yuli Gurriel, the Astros took the first game of their best-of-7 match-up against the Yankees in the American League Championship Series. 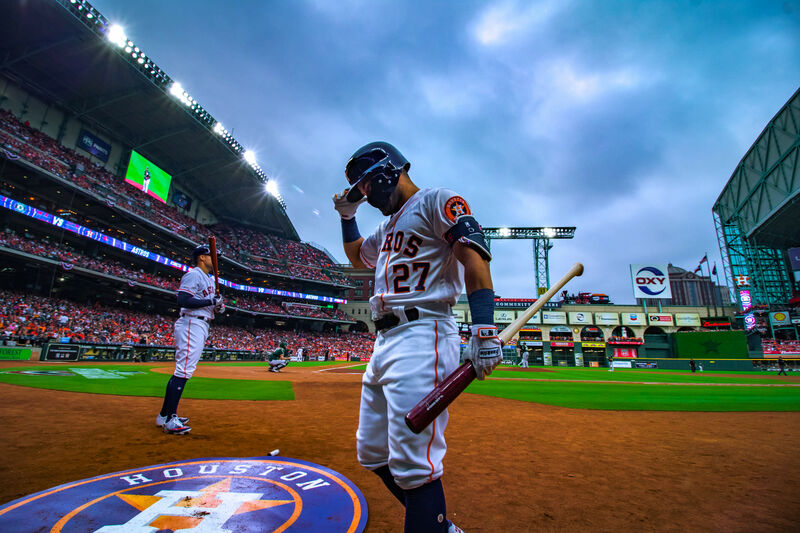 Perhaps the game's most important moment, however, came not from the Astros' offense or pitching but courtesy the arm of left fielder Marwin Gonzalez. In the fifth inning, with runners on first and second and two outs, Aaron Judge stroked a single over a leaping Correa. Gonzalez one-hopped it, then fired a superb, laser-like strike to McCann at the plate, who tagged out Yankees first baseman Greg Bird to end the inning. It was the closest of play and the Yanks challenged, but the call was upheld on review. 10:30 p.m.: Top of the ninth and with three outs remaining, the Yankees sent their 5-6-7 hitters to the plate, Castro, Hicks and Bird. 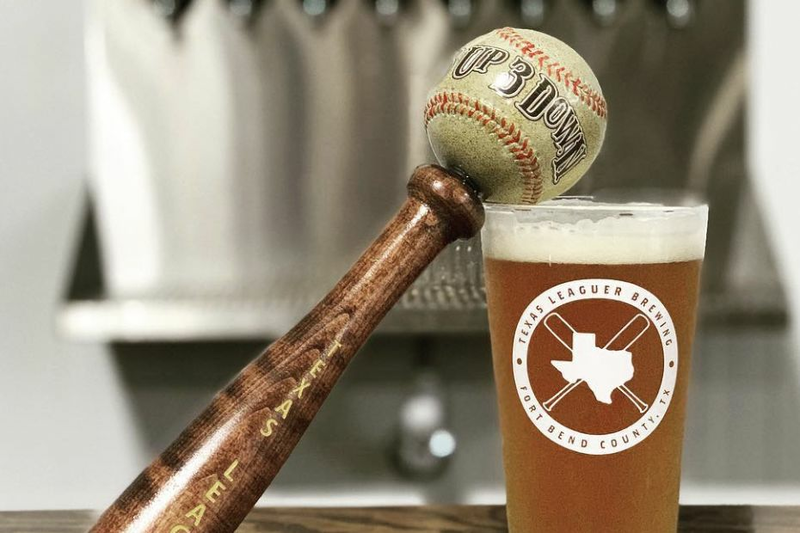 After Castro struck out swinging on a Giles slider, Hicks took the count to 2-2, and with the entire crowd at Minute Maid Park on its feet, Giles struck out his third batter in a row. They stayed standing as Greg Bird stepped to the plate, but the first baseman stroked a homer off the right field foul pole. Astros 2, Yankees 1. Jacoby Ellsbury came in to pinch hit for Holliday, and the roar of the crowd was almost impossible to stand as Giles took him to two strikes. 10:15 p.m.: George Springer and Josh Reddick led off the bottom of the eighth against Green and both struck out. Altuve took Green to a full count before stroking his third single of the evening, but Correa flied out to center to end the inning. 9:55 p.m.: Chris Devenski came on in relief for Keuchel in the top of the eighth, and Frazier, the first batter he faced, flied out to shallow center. (Ken Giles began warming up in the Astros pen.) Gardner was the inning's second batter, and he walked, bringing up Judge. And with that, manager A.J. Hinch took out Devenski, replacing him with the 'Stros' ace reliever Ken Giles. Gardner took second after a wild pitch by Giles bounced in the dirt, but Judge bounced out to Bregman and Gardner was not able to advance. That brought up Sanchez, who had so far struck out three times during the night. This time, the Yankees catcher walked, which brought up the always dangerous Gregorius with two out and runners on first and second. And when Giles got him out swinging to end the inning, 43,000 sighs of relief could be heard throughout Minute Maid. 9:45 p.m.: In the bottom of the seventh, Yankees reliever Chad Green came in for Tanaka. Gurriel and Beltran, the first two batters he faced, grounded out to the second baseman. But after Bregman hit a soft ground ball toward third, he sped down the line, beating out the third baseman's throw for an infield single. But McCann flied out to the infield and the inning was over. 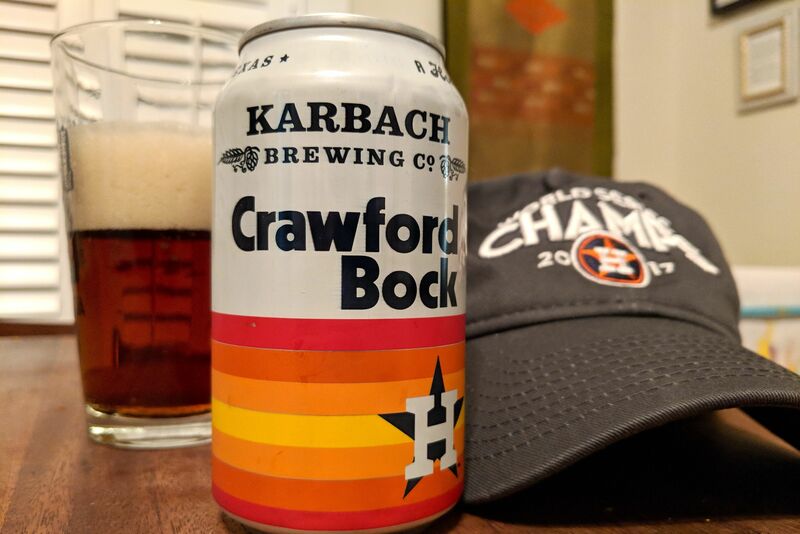 9:35 p.m.: Hicks led things off for the Yanks in the top of the 7th by grounding out to Bregman, and as Keuchel approached his 100th pitch, both Musgrove and Devenski could be seen warming up in the Astros pen. Bird then game Keuchel his 10th strikeout, which brought up Holliday, who flied out to Altuve in shallow right center to end the inning. 9:15 p.m.: Josh Reddick led off the bottom of the sixth by hitting a sharp ball right back at Tanaka, who picked it up and threw Reddick out. (Yankees right hand reliever Chad Green was up and throwing even before the trainers came out to check Tanaka, who stayed in the game.) 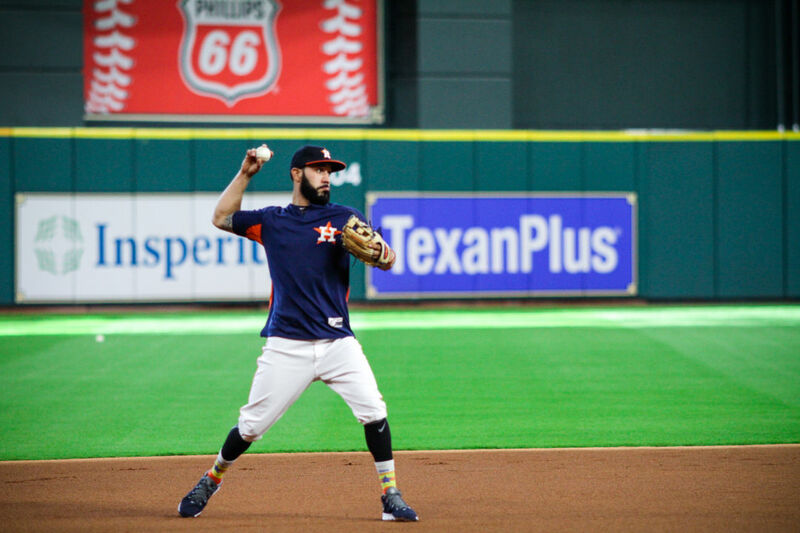 Altuve stepped up next, and to thunderous cheers of "M-V-P," singled past the shortstop into left field, and then took second after a ball that got away from catcher Sanchez. After working the count to 3-2, Correa was called out on strikes, bringing up Gonzalez with two outs. Marwin grounded out to end the inning. 9:05 p.m.: Sanchez led off the top of the sixth by striking out. As Dallas hit his 90th pitch, Chris Devenski began warming up in the Astros' bullpen. The next batter, Gregorius, also struck out swinging. Castro bounced out to Correa whose throw was a little wide but Gurriel spun around and tagged the runner to end the inning. 8:55 p.m.: Almost two hours into the game, it was the bottom of the fifth with Bregman grounding out to the second baseman to start the inning. McCann followed by striking out, and Springer flied out very deep to center to end the inning. 8:40 p.m.: Bird led off the fifth inning with a single to right just past a diving Gurriel. Holliday hit what should have been a double-play ball, but after Altuve bobbled it, runners ended up on first and second with nobody out. That brought up Frazier. He flied out to Springer in center. After a tense at-bat, Gardner then struck out swinging (No. 7 for Keuchel). With two out, that brought up Judge. He singled to Gonzalez at left but Marwin threw a fireball perfect strike to McCann at the plate and Bird was called out! (The Yankees challenged but the call was upheld on review.) Inning over! 8:20 p.m.: The pitchers' duel continued in the bottom of the fourth with Josh Reddick grounding out to the third baseman. To the plate came Altuve for the second time. He hit a softly hit ball to the second baseman and beat out the throw for a single, bringing up Correa. After Altuve stole second, Carlos singled to left and Altuve scored! Astros 1, Yankees 0. Correa then took second after Gonzalez grounded out. Then, Gurriel singled up the middle and Carlos scored! Astros 2, Yankees 0. Beltran grounded out to end the inning, but the Astros are on the march! 8:10 p.m.: Sanchez led off the fourth for the Yanks by being called out on strikes (Keuchel's sixth K of the night). That brought up Gregorius, who was thrown out after a beautiful diving stop by Altuve, but then Castro lined a single over Correa's head. Next up was Hicks, and he flied out deep to center to end the inning. 7:55 p.m.: Alex Bregman led off the bottom of the third against Tanaka by flying out to the warning track in center. After Brian McCann bounced out to first, Springer struck out swinging to end the inning. 7:45 p.m.: Top of the third and the lead-off hitter was designated hitter Matt Holliday, who bounced out softly to Keuchel. Third baseman Todd Frazier grounded out to Bregman, bringing up the top of the order and Gardner, who lined a singled to left. With Gardner on first, up stepped Judge who, with the count 3-2 and the crowd on its feet, struck out to end the inning! 7:40 p.m.: Marwin Gonzalez led off the bottom of the second for the Astros, who flied out sharply to center. Next to the plate, Yuli Gurriel, grounded out to the shortstop, bringing up Carlos Beltran. The former Yankee flied out to center to end the inning. 7:30 p.m.: The Yankees' second baseman Starlin Castro led off the top of the second by grounding out to Bregman at third. That brought up center fielder Aaron Hicks, who struck out swinging, and then the Yanks' first baseman Greg Bird, who struck out swinging to end the inning. 7:18 p.m.: Springer led off the bottom of the first against Masahiro Tanaka by walking. That brought up Josh Reddick, who grounded to the second baseman. Springer was out at second but Reddick foiled the double play, ending up safe at first. Jose Altuve flied out fairly deep to center, bringing up Carlos Correa, who grounded to short to end the inning. 7:08 p.m.: Here we go! In the top of the first, the Yankees led off with left fielder Brett Gardner, followed by right fielder Aaron Judge and catcher Gary Sanchez. Dallas Keuchel struck out Gardner on four pitches to start the game, but Judge walked. The next batter, Sanchez, also struck out swinging. That brought up shortstop Didi Gregorius, who bounced out softly to Altuve to end the inning. 6:46 p.m.: We're getting close here at Minute Maid Park. The Houston Astros have just been introduced to a thunderous ovation. We'll be underway shortly. Look for live updates here!